About two-thirds of the population of the Bahamas lives on New Providence Island, the location of Nassau, and about half of the remaining one-third lives on Grand Bahama Island, the location of Freeport. That means only around 50,000 people are spread out on the other islands including Great Abaco Island, Andros, Eleuthera, Cat Island, Long Island, the Exuma Chain, Crooked and Acklins Islands, Mayaguana, Inagua, and Ragged Island and the Jumento cays. These "other" islands are often called the Out Islands. On these islands you find no cruise ships, no high-rise hotels, and no crowds... Thankfully, here there are no Holiday Inns, Senor Frogs or Kentucky Fried Chickens. 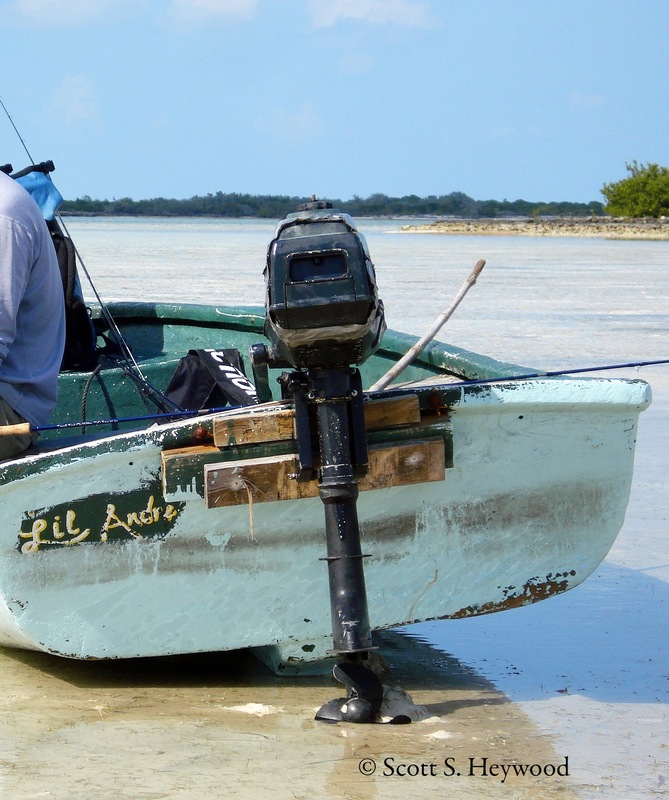 It’s different in the Out Islands and those of us that bonefish here, love these islands and its people. The Out Islands are also called the Family Islands. Many Bahamians out of necessity move to the busy islands of New Providence and Grand Bahama to go to school or get jobs in the casinos and hotels of Nassau and Freeport. They leave their families behind and are therefore referred to as the "family" islands. These transplants visit their home islands as often as they can and most of these island have a homecoming weekend that is one of the big events of the year! Great Blog Scott, with some nice photo's...memories come flooding back!! Thanks so much... great to catch up the other day! This one is really a innovative photo essay and I am glad that I am part of it.